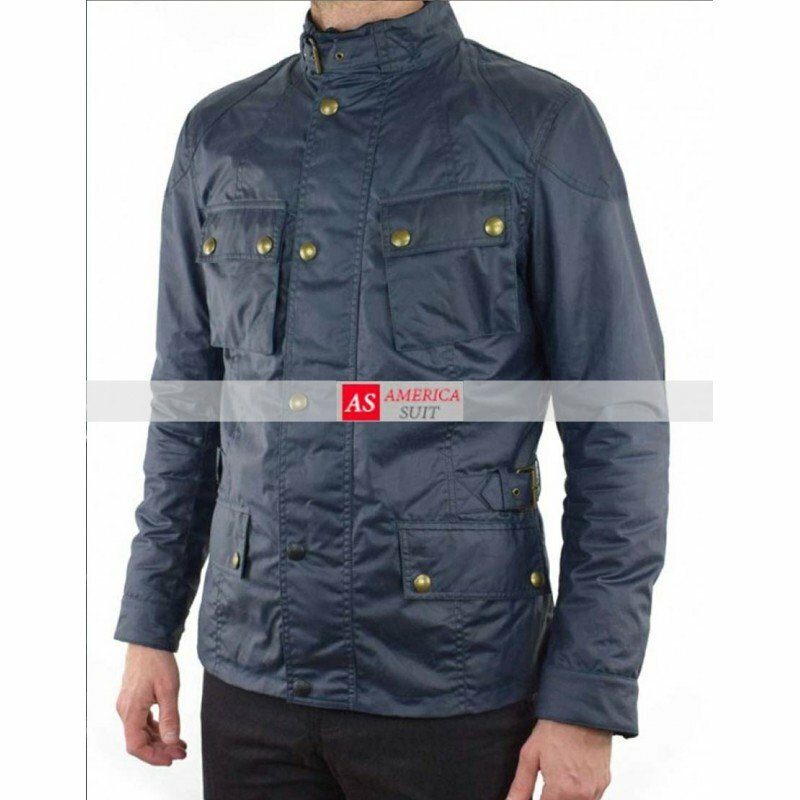 Buy the John Wick Chapter 2 Cassian Blue Cotton Jacket If you want to look admiring and astounding and if you want to look handsome and aspiring then you must grab our highly ravishing and dazzling Cassian Blue cotton John wick jacket, this jacket is going to make you look super handsome and appealing, this Cassian Blue cotton john wick jacket is blue in color which is going to make you look different and ravishing. The style of the collar is standing style belted closure. The front of the jacket is buttoned. The sleeves are full with buttoned cuffs; there are four flap pockets on front, which are quite spacious.